Aside from the latest Air Jordan 10 Retro that we previewed earlier, one more popular shoe model hit the sneaker market in a Charlotte Bobcats-inspired colorway. 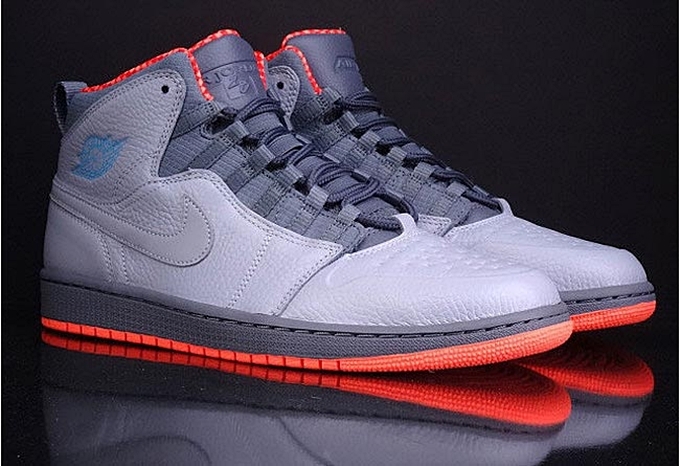 The Air Jordan 1 Retro ’94 was also released in Wolf Grey/Dark Powder Blue-New Slate-Atomic Orange colorway, which is dubbed as the “Bobcats” edition of the shoe inspired by the NBA team owned by his Michael Jordan. This kick features a grey-based upper part with strong atomic orange lining and outsole and powder blue branding. Make sure to put this kick on your must-buy list. This shoe is now available for just $130 per pair.